From October 12 to 14, EMBARQ México will host the XI Cities and Transport International Congress, where decision makers will participate in workshops and discuss how infill development can help Mexico City and other cities achieve a connected, compact, and coordinated future. For more information on the Congress visit ciudadesytransporte.org. 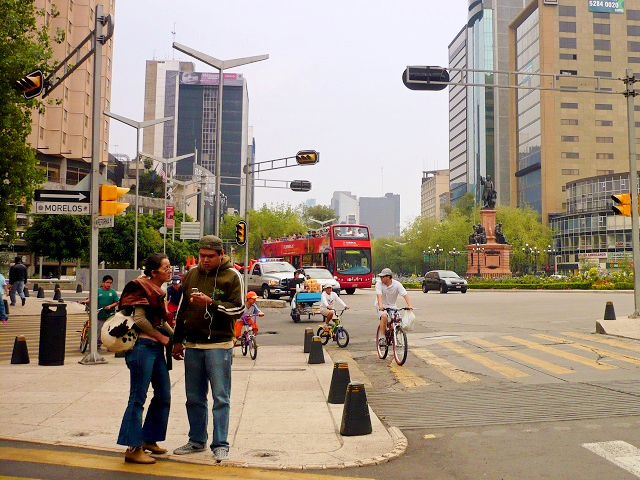 Managing Mexico´s urban growth has been a challenge for decades. In the 1970s, Mexico transitioned from rural to urban and its cities expanded rapidly with little control and oversight. This uninhibited growth was a direct consequence of the institutional framework around urban and territorial planning, housing policy, and a lack of leadership in place at the time. As a result, in the last 30 years although population doubled, the area of developed land grew seven-fold. With urban expansion outpacing the natural rate of population growth, the effect was sprawling development with low density, mono-functional zones—often filled exclusively with houses—leaving 85,000 hectares of vacant land unused throughout Mexico’s urban centers. Mexican cities should turn to infill development to create coordinated and compact urban growth strategies. This kind of development allows both residents and the local government to tap into existing urban assets by building on vacant, abandoned, or underutilized land within the existing city limits. 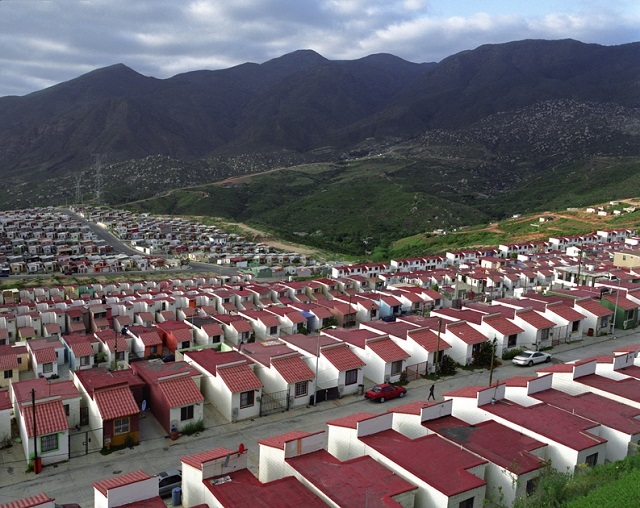 Urban sprawl in Mexican cities has produced thousands of socioeconomically stratified single-family houses, which are isolated from businesses, schools, hospitals, and cultural institutions. This pattern of urbanization has led to inefficient land use and low densities, with residents disconnected on the periphery. The isolation compounds on itself as many residents are highly dependent on private vehicles, since public transit does not reach these communities, (and it is not financially feasible to provide new transit connections to low density areas that do not have the ridership levels to sustain the transit system). Low environmental impact: Infill development reduces environmental impact and promotes resource and land conservation by making use of already urbanized land, rather than agricultural land. It makes financial sense: By constructing in already established urban neighborhoods, it is cheaper for the government to enhance the capacity of services within existing infrastructure and public transport networks. Strengthening the local economy: It can encourage a diversity of residents by providing a variety of housing for mixed-incomes, which can increase property values (and thus property taxes) and strengthen the real estate market for all residents. A strong real estate market with high levels of diversity also strengthens local businesses. Melbourne witnessed these benefits as a result of the regeneration of their city center (1994 – 2004), which was underutilized; the central area saw 83 percent increase in the number of residents and 275 percent in cafes. Sustainable Mobility: Disconnected cities have had a great impact on the way citizens commute to everyday activities—which largely remain near city centers—miles away from housing developments on the periphery. Infill development in a transit-connected urban core provides people with better access to everyday activities and services; consequently, it reduces the expense, time, and emissions associated with longer commutes that are made exclusively by car (for work, shopping, recreation, school, health facilities, etc). Barcelona has successfully revitalized the industrial “Poblenou” neighborhood through a model of infill development known as 22@. The city transformed 4 million square meters of underutilized land into a district with 60 percent of the total area designed for productive and commercial activity, and 40 percent to new and diverse housing. Land use policy underwent reform and changed exclusive industrial use areas to mixed-use, and increased the allowable density level. Streets were designed for people rather than cars, quality public transport was expanded, and bike lanes and pedestrian infrastructure were created. Public spaces and green areas also were a top priority for redeveloping Poblenou. It has been nearly 15 years since the renovation of 22@Barcelona took place, and the benefits are clear: more than 7,000 companies have moved to the district, the population has increased 23 percent (even though the city of Barcelona has seen a general decrease in population, but the urbanized land still grew 29 percent 1987-2000), and 55,000 new jobs have been generated. Poblenou is now recognized as a successfully revitalized neighborhood of Barcelona. 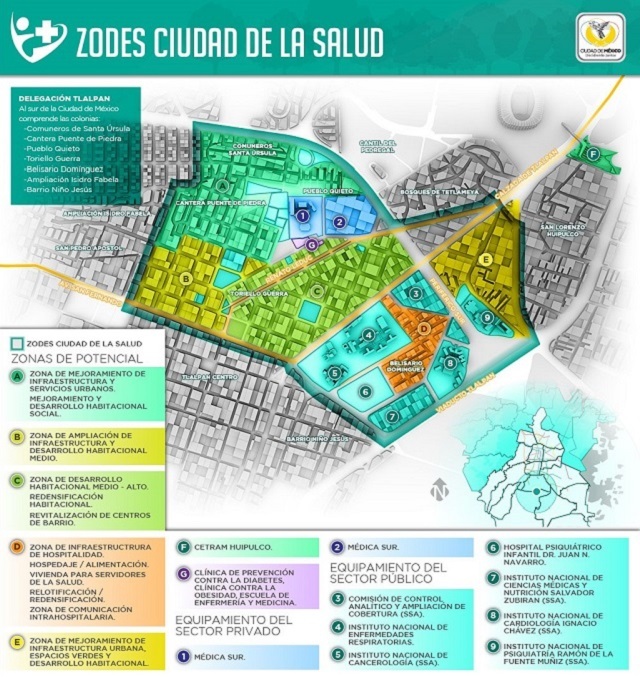 Recognizing the opportunity of infill development, Mexico City recently launched an initiative called ZODES (a Spanish acronym for Economic and Social Development Zones) that will develop infill projects throughout the city. The main objective of ZODES is to improve quality of life and the initiative will integrate several strategies, such as improvements to public transit, increased density, and expansion of infrastructure and public services. This will provide more mobility alternatives, provide better and more diverse housing options, and strengthen the economy. Each project differs depending on its purpose. The first project is called “Health City,” which is located in an area with several private and public hospitals as well as medical schools. This project is expected to be finished by the year 2025, starting with land use changes in order to allow the construction of new hospitals, schools and large residential buildings; the expansion of water and electricity utilities to the area are priorities in the timeline as well. Future ZODES will include Administrative City, Future City, and Green City. There is a lot of potential in Mexico City to tap into under-utilized land and bring about more compact and sustainable development. Throughout all these initiatives, involving the local community in the design and planning is critical to ensuring that development meets residents’ needs. In order to promote infill developments, national and local planning policies must evolve and align to allow for higher density and mixed land uses to revitalize existing urban communities.